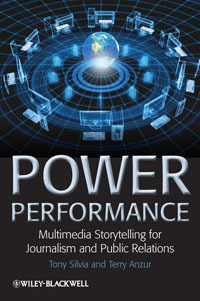 Why You Need "Power Performance"
I began teaching all aspects of news writing at USC in 1991. Sadly, most of the available textbooks were limited to “how to write news in English for Americans.” After a bit of instruction, most of my students could turn out decent sentences. The real challenge was developing their stories with the most compelling pictures and interviews, and then learning how to present the story. Multimedia made it necessary to develop those skills on multiple platforms for a global audience. Over the years, I’ve been fortunate to find outstanding professionals who were willing to speak to my classes. Students told me those sessions helped them understand the role of the journalist and the public relations practitioner. I wanted to share this wisdom with students everywhere. My hope is that they will use this knowledge to develop an ethical framework for effective journalism and public relations, no matter where future technology may lead. This book is a good place to start. Reading this book is like a social networking opportunity with some of the best journalists and PR people in the business. Our Power Profiles give you insight into how they started their careers, became successful storytellers, and adapted to the changing technology of multimedia. • From the publisher at wiley.com. • Or you can buy the book directly from me. Send me an email with your request and I’ll invoice you on Paypal. If you are a coaching client, I can add the book to your coaching invoice. Hi, I'm Terry Anzur. I've been a professional multimedia journalist for more than 30 years, anchoring and reporting everywhere from New York to Los Angeles to West Palm Beach. 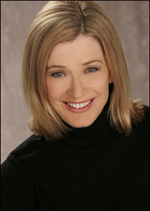 I've taught on-air skills to journalists of all levels, both through positions at the University of Southern California and Pepperdine University and through my own independent company. If you're interested in talent coaching, whether on a personal or station-wide level, follow the "Media Coaching" links above for useful resources and detailed information on how I can help. Or just drop me a note to chat more about a customized package that can meet your needs for public relations or international journalism training.